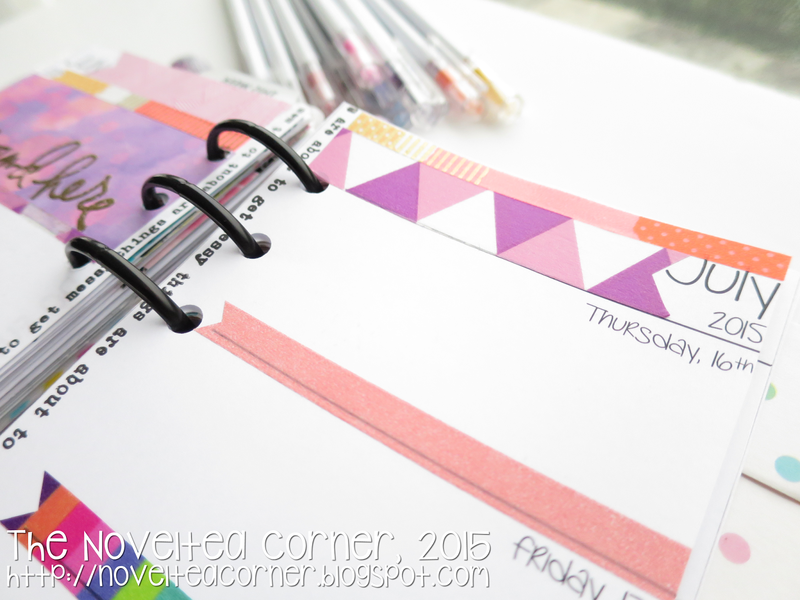 This week's layout is a bit of a hodgepodge of colours! 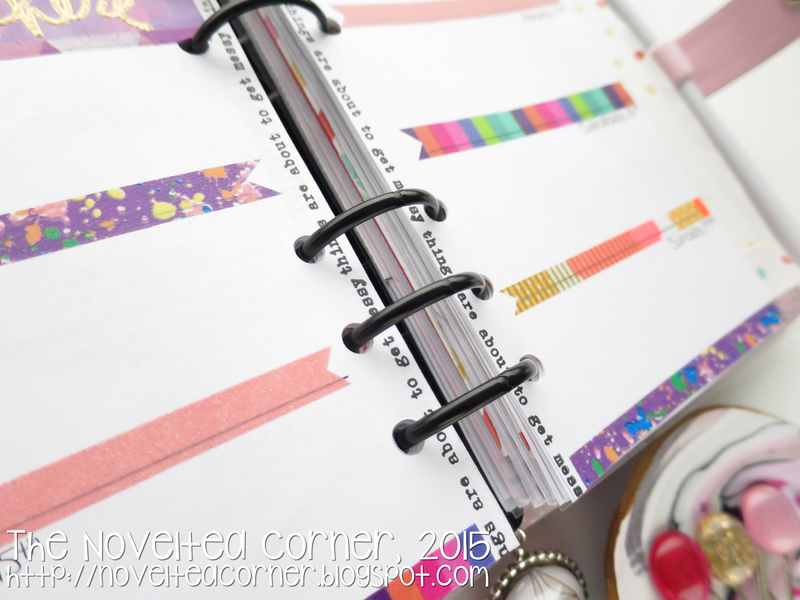 Usually when I decorate my planner, I pick a fairly simple colour scheme - about 3 different main colours so as not to overpower the layout itself. This week, however, I've got a bit of rainbow thing happening and it's all down to the 'around here' banner. The background is a digital background paper I made (let me know if you're interested in me uploading those for purchase in the comments) and printed on sticker paper. 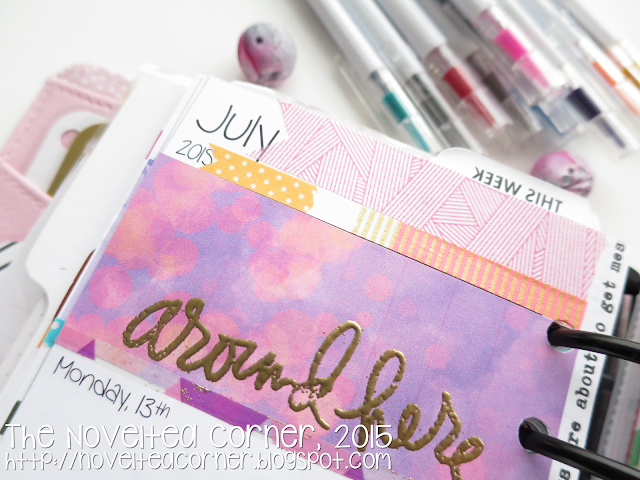 I embossed it using gold metallic embossing powder and an Ali Edwards stamp. I actually had a really difficult time choosing washi tapes that fit the same colour schemes, hence the mishmash of different styles and colours. The purple paint splatter tape is one of my favourites. And I'm continuing my new favourite technique of stamping words along the inside edge of my planner inserts. 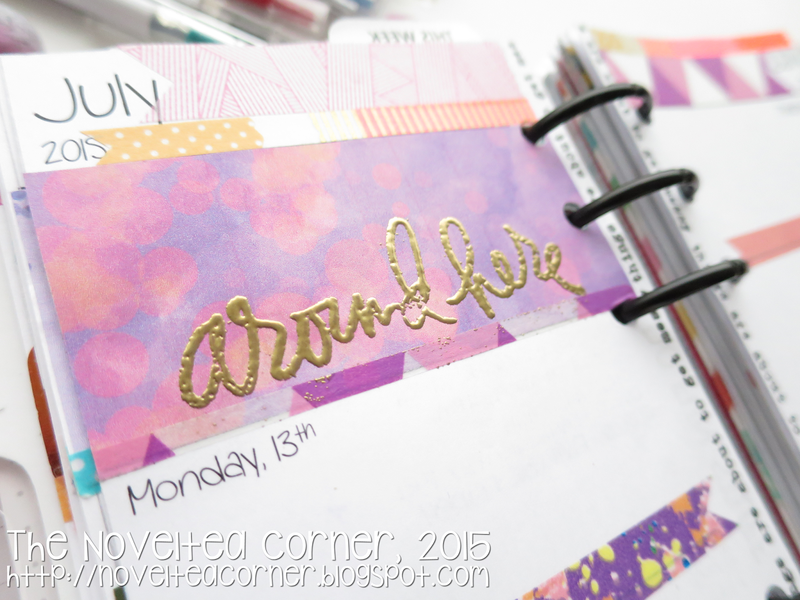 This week I used a different Citrus Twist stamp set to last week's pages, but it's still pretty fun! I like it because it's subtle, but it still has enough of an impact to be interesting without overpowering everything else on the page! Don't forget to leave comments or questions below, or even links to photos of your planner pages! I'd love to see them. 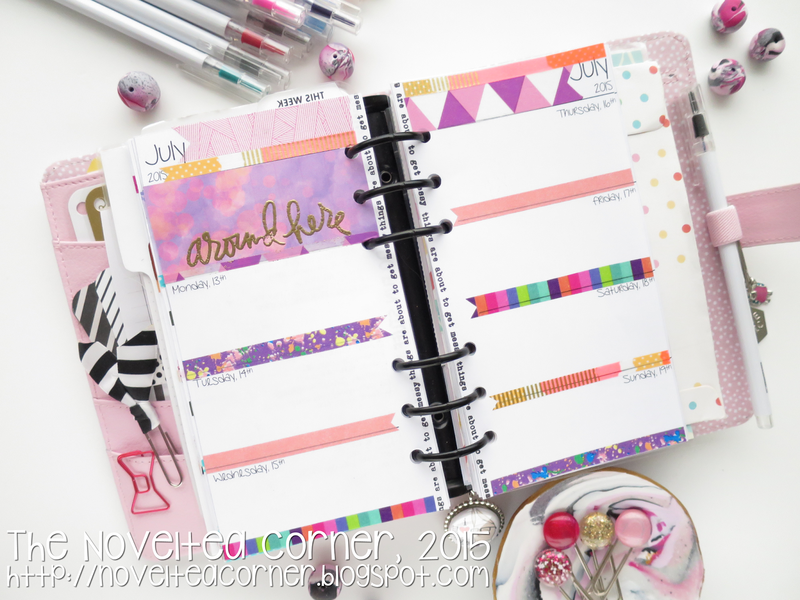 I'm Stef - a book reading, tea drinking, planner loving, Project Life documenting fan. 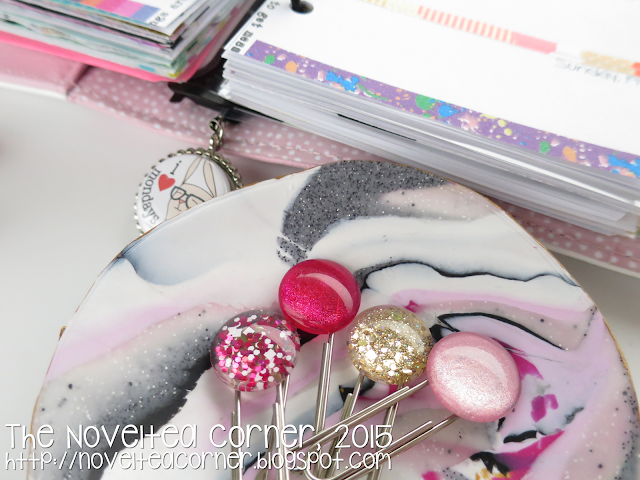 This blog is a place where I want to share all the things I love with you you! Welcome to The Noveltea Corner.I'm Stef - I'm a book reading, tea drinking, planner loving, Project Life documenting fan. This blog is a place where I want to share all the things I love with you you! I live in Melbourne, Australia and am a teacher by day and crafter by night (and weekend).